Your ATRA-Gulf States Chapter facebook page needs your "LIKE". 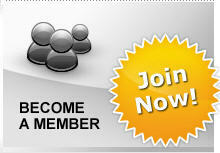 The ATRA Gulf States Chapter welcomes you to our website. Our chapter is affiliated with ATRA — the Automatic Transmission Rebuilders Association. ATRA is an international trade association for the professional automatic transmission repair industry. The Gulf States Chapter offers its members opportunities they could not realize on a National or International basis. The primary purpose of our chapter is to engage in local activities that directly affect and enhance the transmission rebuilding industry. The ATRA-Gulf States Chapter was established in the 80's and later incorporated in 1998 in the state of Alabama. The chapter encompasses the entire state of Alabama, Mississippi, Louisiana and the panhandle of Florida. The chapter proudly serves the needs of it's members for the betterment of the transmission industry by: * Coordinating Annual ATRA Technical Seminars within the chapter area. * Conducting Annual Business Meetings. * Planning fun and technical get-to-gethers, such as BBQ's and Mini Hands-On Classes and * Meeting the Special Needs of it's members.